In contradiction to its title, “Duer ikke . . . Næste!” (No Good . . . Next! ), this exhibition of works from the estate of Albert Mertz (1920–1990) stands out as the local show of the year. It was all there, or seemed to be: Respecting Mertz’s regard for process over the individual object, the curators—art historian Karin Hindsbo (the director of the nonprofit Den Frie Udstillingsbygning) and artist Jørgen Michaelsen—defied curatorial polish with a Dadaist hanging of collages, paintings, and objects that spread anarchically through the gallery and included notebooks as well as films and sound works. 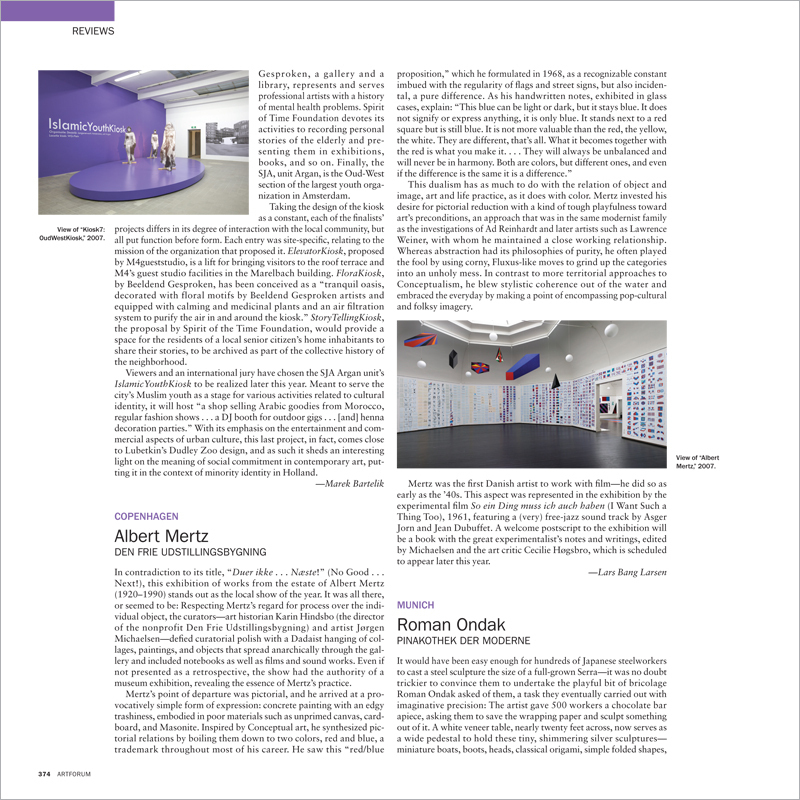 Even if not presented as a retrospective, the show had the authority of a museum exhibition, revealing the essence of Mertz’s practice.